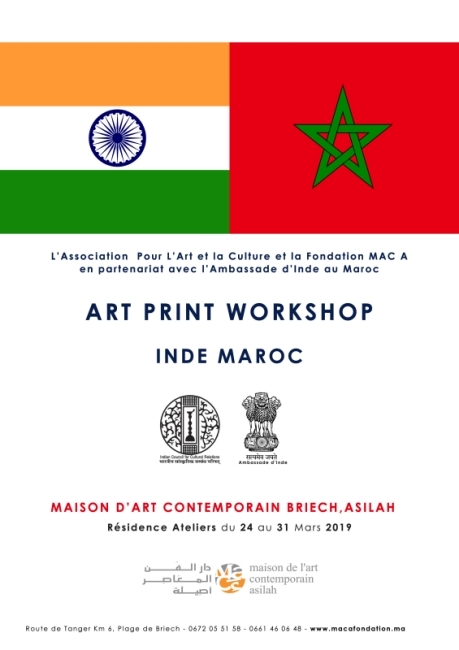 Indian Council for Cultural Relations in association with Maison d' Art Contemporain Briech, Asilah is organizing an Art Print Workshop in Asilah from 24-30 March 2019. Renowned artists from India Devraj Dakoji, Rini Dhumal and Amitava Das will participate in this Workshop. The event is a part of year long celebration of Contemporary Art by MAC A Foundation and ICCR with India as guest of honour.